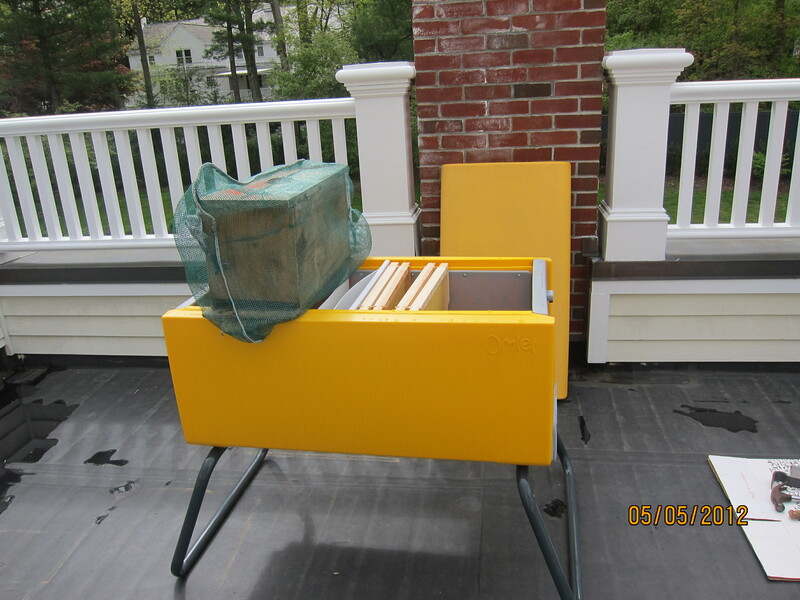 It’s been a long time in coming, but the bees are here. 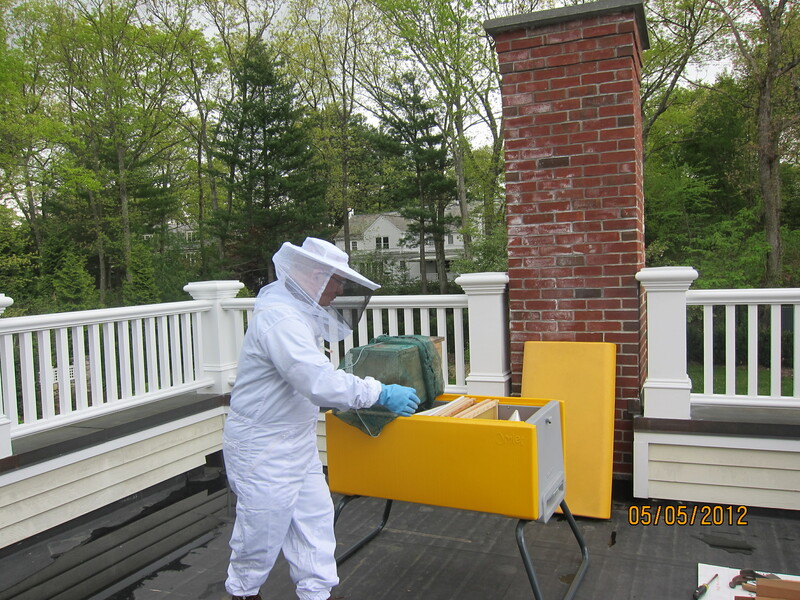 I first wanted to start keeping bees more than 7 years ago, which is when I first went to Bee School. 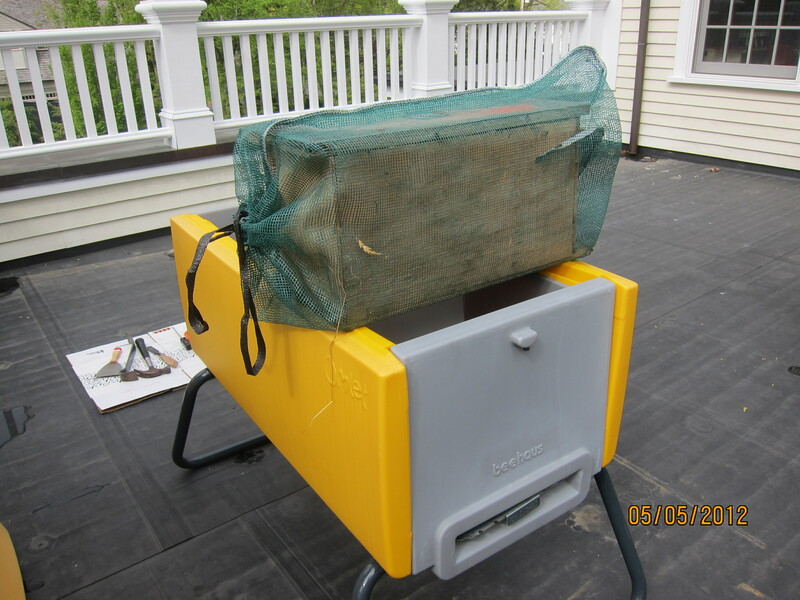 But, as can happen, other events intervened and it wasn’t until today that I was able to go pick up my nucs and transfer them to my hive. 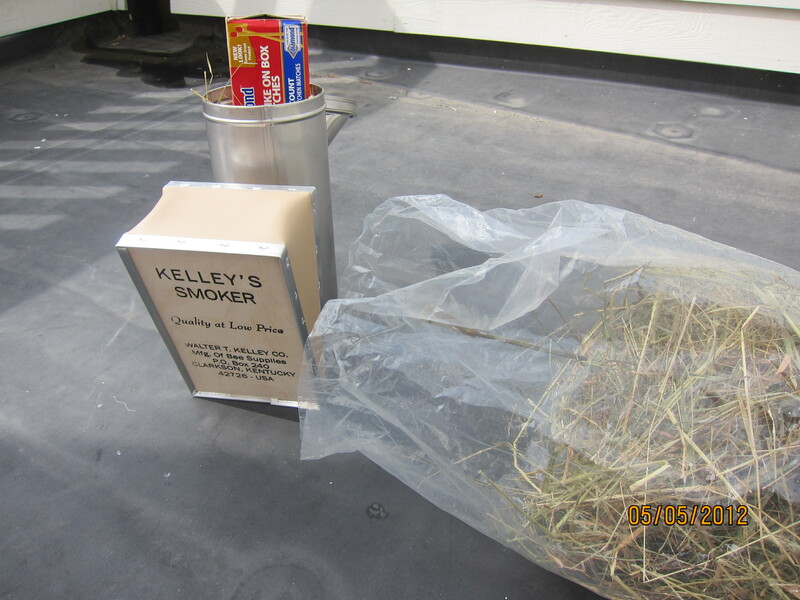 I have some photos to show you. The photos are taken at the beginning and one at the end of the transfer, it was much too busy during the transfer to take any photos. 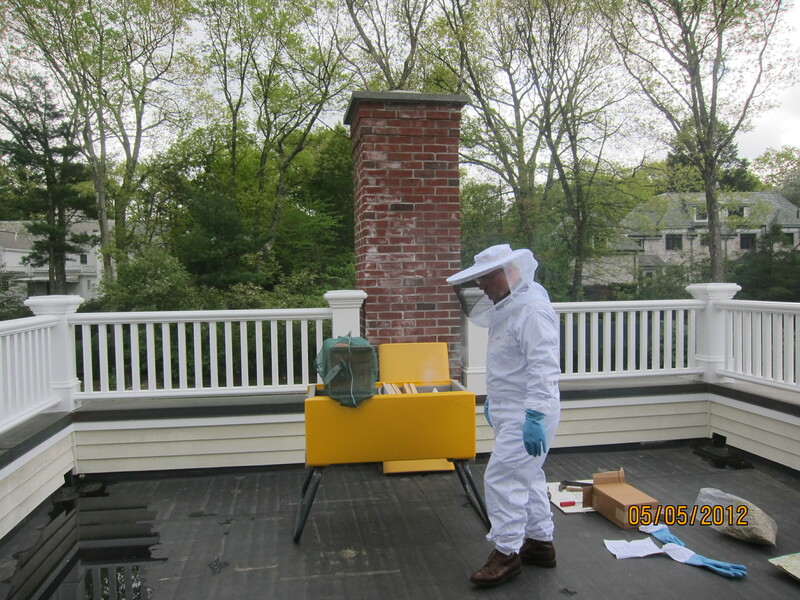 My husband is wearing my beesuit. 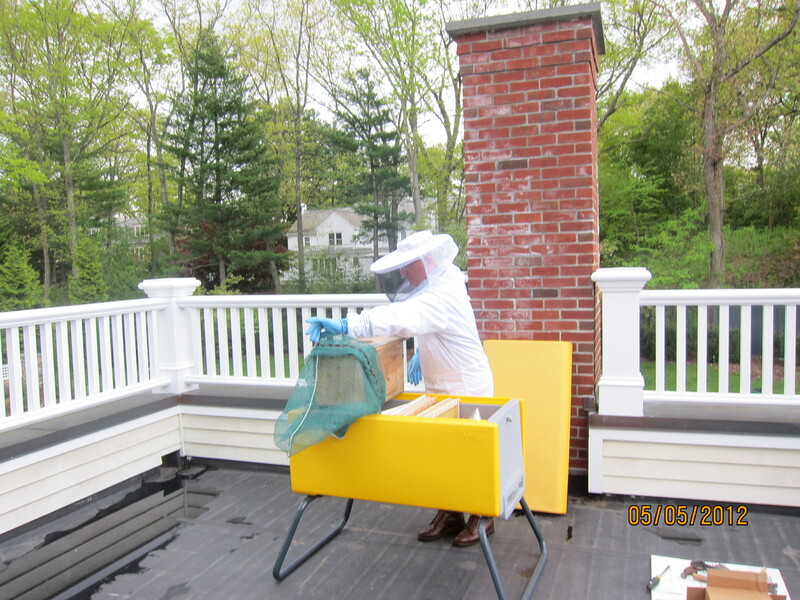 Being the good sport that he is, he agreed to do the hands-on-bees work. I wore jeans, a couple of cotton shirts, remembered to tuck my pants into my boots because bees crawl upward, and topped off the outfit with a hat and a scarf. I was in charge of the smoker so anytime I became uncomfortable with the proximity of any bees I started puffing vigorously. The transfer went remarkably smoothly. 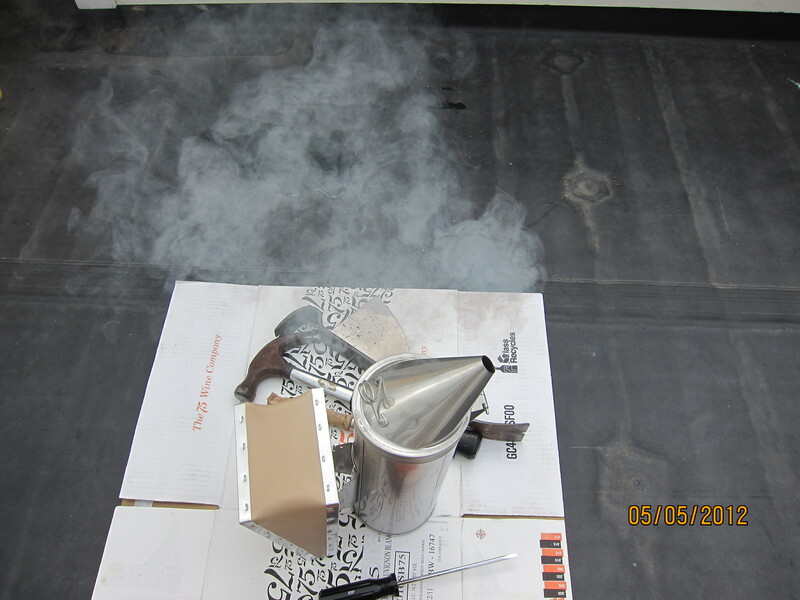 The bees responded well to the smoke, i.e. 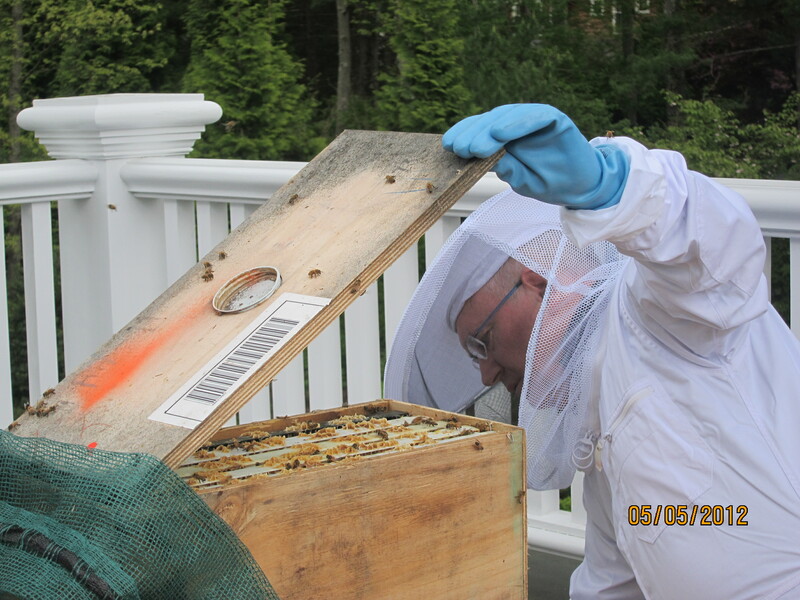 they become docile, clung to their frames and allowed my husband to move their frames from the NUC box into the hive. There were a handful of adventurous bees who flew around but the majority stayed put on the frames. We didn’t spot the queen, but we didn’t really look as we didn’t have a lot of opportunity to look during the transfer process as it takes concentration. The bees are hybrids – breed to be half Italian bees and half Carlonian. 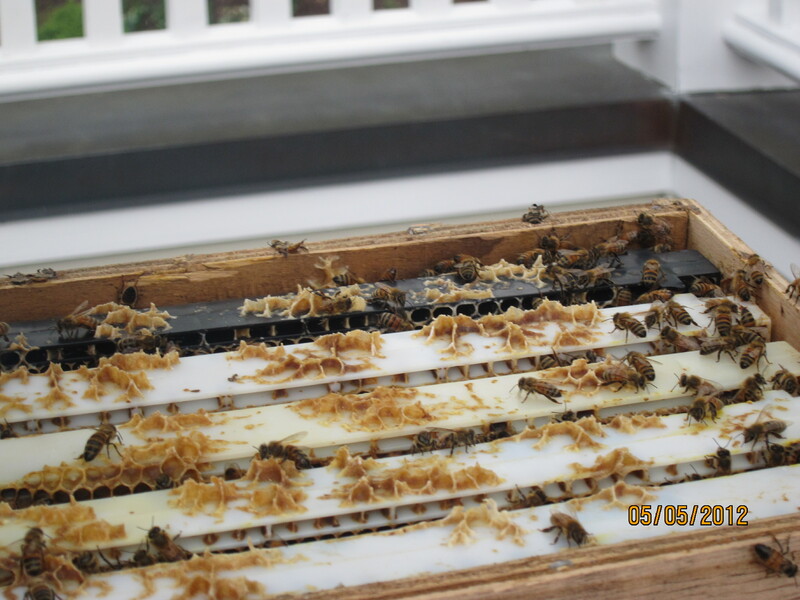 This is done to promote health and to prevent Varroa mites as much as possible. I am obviously brand new to this so I will learn as I go. 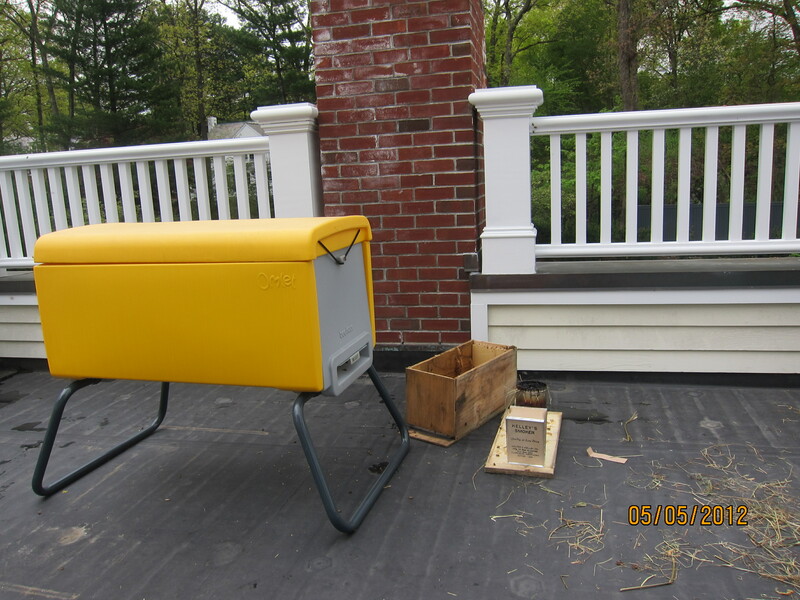 In the meantime, I am thrilled to have my bees, and a little anxious as to their well-being. This is incredibly exciting. I love seeing all the pictures — and what a good sport your husband is! Thank you for taking us step by step through the process. hey there, good to see you last week, and came to “visit” with you again on your blog…what a great sport your huuby is to don the bee suit AND get his photot taken! Thanks, Cheryl…good to have you on board as a follower!